Coimbatore also known as Kovai, is the second largest city of Tamil Nadu. It is the administrative headquarters of Coimbatore District. Known as Manchester of southern India, it is also a part of the Kongu Nadu region of Tamil Nadu. Including its sub-urban areas the population is around 15 lakhs. Situated on the banks of the Noyyal River, Coimbatore is known for its textile Mills,factories, engineering firms, automobile parts manufacturers, health care facilities, educational institutions, pleasant weather, hospitality and for its Kongu Tamil. Ooty and Valparai are close to the city making it a good tourist attraction. The reason for the city's name is that a king called Kovan ruled the area and hence the name Kovanpudur and evolved and anglicized as Koyambuthur,Koyamuthur,and Coimbatore. In modern times the name is sometimes abbreviated as CBE based on the Indian Railways' station code. It is also believed that the City is named after the presiding deity of the town "Koniamman" - "Koniamman pudur" turned into Coimbatore. Coimbatore has a pleasant, salubrious climate, not reaching the high temperatures of other southern India cities. Situated in the Western part of the state of Tamil Nadu, Coimbatore is located at an elevation of about 398 meters. The mean maximum and minimum temperatures during summer and winter varies between 35°C to 18°C. highest temperature ever recorded is 41 °C and lowest is 12 °C. Due to the presence of the mountain pass, major parts of the district benefit from the south-west monsoon in the months from June to August. After a warm, humid September, the regular monsoon starts from October lasting till early November. These monsoons are brought about by the retreating North-eastern monsoon. The average annual rainfall is around 700 mm with the North East and the South West monsoons contributing to 47% and 28% respectively to the total rainfall. Although this rainfall is not enough to sustain the needs of the city for the entire year, small rivers like the Siruvani and Atthikadavu fulfil the city's water needs. The Siruvani water is the second sweetest water in the world. This is because of large numbers of Amla trees present in the mountains where the Siruvani river originates. The soil is predominantly black, which is suitable for cotton cultivation, but it also has some red loamy soil. Coimbatore falls under the Class III/IV Seismic Zone, having experienced a 6.0 Richter scale earthquake in 1900. The Sálim Ali Centre for Ornithology and Natural History is located at Anaikatty in Coimbatore district. Coimbatore's primary industries are engineering and textiles. The district also houses the country's largest amount of hosiery and poultry industries. Most of the industries are run by entrepreneurs, often indigenous with family based or community financing. The city's industrial growth started in 1920’s and accelerated after independence, without any government assistance or the entry of external industrial houses. 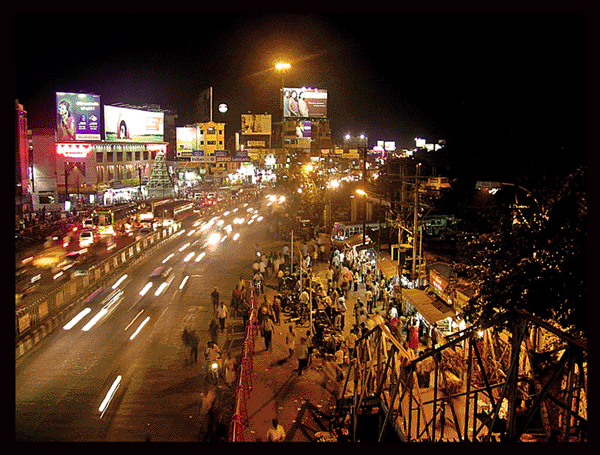 The city serves as the homeground for most of the well known industrialists from Tamil Nadu. Of late, information technology companies have started opening offshore development centres in the city. Copyright © RK Networks 2009 - 2019, All rights reserved.